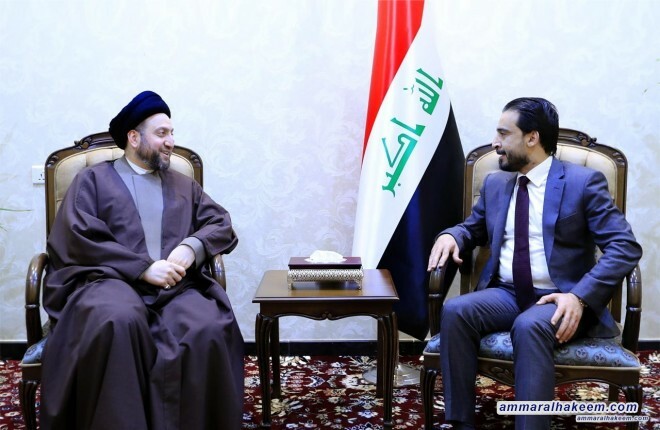 Head of the Reform and Reconstruction Alliance, Sayyid Ammar al-Hakim, met with Speaker of the Iraqi Council of Representatives, Mr. Mohammad al-Halbousi at the latter's office Baghdad Saturday 15/12/2018. 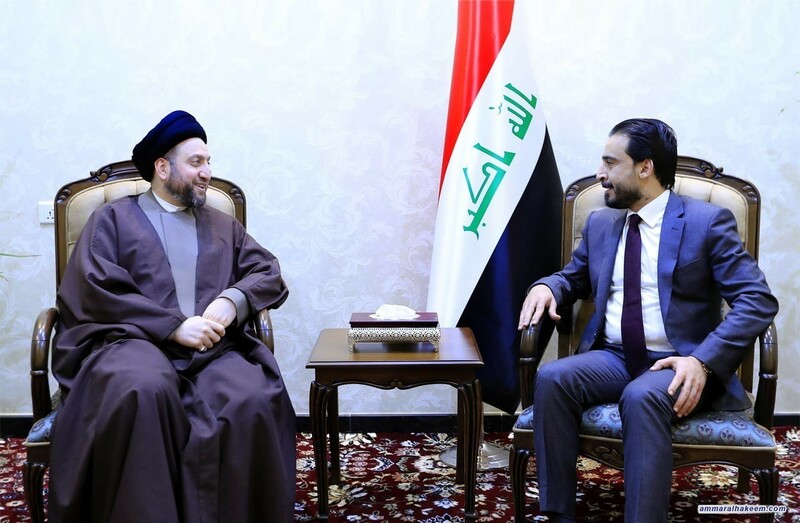 His eminence with Halbousi discussed the upcoming entitlements and completing the government cabinet, stressed the importance of everyone's shouldering responsibilities towards to meet people's demands in services, reconstruction, construction and employment opportunities. His eminence stressed the importance of appointing competent ministers characterized of integrity and ability to manage, indicated the importance of resolving the issue of government cabinet to enable the government to implement its service and development program. His eminence called to restore trust between the citizen and the legislative institution, urged the executive authority to proceed with the enactment of laws, especially laws with direct impact to the citizen daily concern, plus coordination and integration with the executive authority.